1 Who is Jon Taffer? 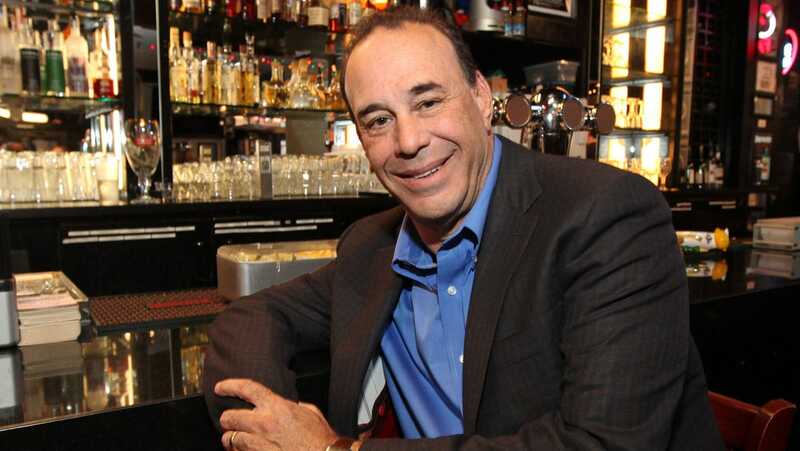 Jon Taffer was born on 7 November 1954, in Great Neck, New York State USA, and is a television personality and entrepreneur, best known for being the host of the show entitled “Bar Rescue” which is aired on the Paramount Network. He’s been active as an entrepreneur since the 1970s. 10 minutes until the new episode of #BarRescue airs on @paramountnetwork ! Who's tuning in?!! How rich is Jon Taffer? As of mid-2018, sources estimate a net worth that is at $10 million, mostly earned through a successful career in business and on television. He’s managed numerous bars over the course of his career, and as he continues his endeavors, it is expected that his wealth will also continue to increase. Jon attended William A. Shine Great Neck South High School in his hometown, and after matriculating in 1972, enrolled at the University of Denver where he studied political science with a minor in cultural anthropology. His time in college was short lived, however, and he decided to move to Los Angeles, California. He was from a family of entrepreneurs and believed that he would also have a knack for business similar to that of his family. He began his career in 1973 as a bartender for the West Hollywood gastropub Barney’s Beanery, which is the original location of the pub chain. During his time there, he learned the ins and outs of the business, while also working on the sideline as a drummer for a live band. Five years later, he got his first bar management job in West Hollywood at The Troubador night club, which was already known for being one of the more important locations that had helped kick start the careers of numerous high profile artists such as Elton John, the Eagles and Carole King. In 1981, Taffer got full control of the Troubadour, during a difficult time where staff theft was profound. He managed to control the issue and the bar hit new heights in the next few years. Eventually in 1989 he decided to open his first bar, which led to start a string of bars under his resume in the next coming years, and his net worth increased considerably thanks to his success. Due to the success he achieved in the bar and nightclub industry, he became one of the first six inductees into the Nightclub Hall of Fame, and in 2010 he was appointed to become the president of the Nightclub and Bar Media Group which is a part of the Questex Media Group, which handles the Nightclub & Bar Trade Show, Convention, as well as its magazine. The following year, he became the host of the reality television series entitled “Bar Rescue”. Being a longtime expert in the industry, he visits numerous bars and night spots offering advice on renovations, plus his professional business expertise to help struggling spots from closing. The @Harbortouch POS not only helps bars and restaurants better serve their customers, but it can also help them better manage their business. Each episode of “Bar Rescue” consists of Jon’s team doing surveillance and reconnaissance of the struggling establishment, check the environment, ambiance, service, food, and drinks. Hidden cameras are installed in the bar with the owner’s consent, so that the team can watch what is being done in each area. Jon then introduces himself to the staff as well, giving his advice on making the bar profitable. After changes with preparation, efficiency, and customer service, the bar is put on a stress test to check if the staff can handle the pressures of a busy night. The team then goes through an overhaul of the bar’s concept, and a drastic changing of the menu to fit it as necessary; the bar is renovated and then reintroduced back into business. While most of the bars go on to succeed, not all of them survive. Since season four, around 40 bars have closed down while 78 have continued since, including three that have changed ownership. He’s also walked out of four bars due to the refusal of people to co-operate with the bar rescue. It is known that Taffer has been married to Nicole Taffer since 2000, and they have a daughter together, now residing in Las Vegas, Nevada. His wife often appears in “Bar Rescue” as a mystery shopper who assesses the bar’s quality before they decide to do the rescue. Jon has also written his own book entitled “Raise the Bar” and has created his own music system which he patented. He was previously a part of the board of NFL Enterprises and mentions in interviews that he is the one who invented the concept of the “NFL Sunday Ticket”. He is also credited for creating an app called BarHQ, which is intended to help bar operators’ manage efficiently.